UCL is planning to set up a new, groundbreaking centre called the Institute of Security and Resilience Studies. It aims to offer a unique opportunity for students and academics to join with experts and practitioners from commerce, industry, government and diplomacy to help developing democracies, and established nation-states, find solutions to the many new security challenges being faced in today's world. The proposed institute will also critically evaluate the capacity and resilience of states and societies to withstand, and respond to, the threats now emerging in every continent to all aspects of daily life. 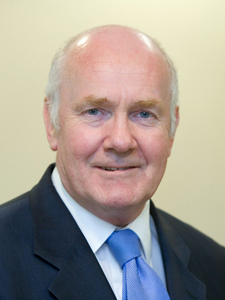 The Rt Hon Dr John Reid MP will be Chairman of the institute as well as an Honorary Professor of the university. Malcolm Grant, UCL President and Provost, said: "This new institute and its approach is a departure for modern academia and fits well with UCL's approach to developing a solutions-based focus to research. The proposed Institute of Security and Resilience Studies will bring academic analysis and research to the centre of 21st century security and response. Through research, empirical analysis and practical experience, the institute will not only explore the full implications of the current strategic direction but also seek to shape its future course and offer practical solutions for developing democracies and established nation-states alike in increasingly uncertain times." John Reid said: "I believe that the ISRS can play a vital role in developing innovative thinking and producing new solutions to help us all be better prepared for the demanding challenges of today's world. The resilience to withstand, recover and move on from crisis is now an issue requiring both academic study and wider understanding at all levels of society. Peoples and nations are now being put to the test, not only by the more traditional issues of conflict, wars, and inter-state threats but also a range of new security issues. Countries, societies and economies that cannot develop better the capacity to prevent, resist and recover will be left vulnerable and exposed. I am delighted to be able to use my experience in this new academic endeavour." Areas to be addresses will include legal frameworks, the justice system, economic and financial infrastructure, energy supply, public health, industrial technology, environmental issues, education and radicalisation, political leadership and decision-making. It is envisaged that the institute will encompass themes such as behaviour, capacity, media, strategy and development. It will also embrace the consideration of elements of national security strategy, foreign policy, economic policy and public diplomacy. The proposed institute will be within UCL, established with a charitable status and be overseen by trustees and an advisory board. To read more about John Reid on national security issues and the new institute, read his interview in the 'Daily Telegraph' at the link above.